From 24 to 26 May, the first SpaceUp Paris event is being organized by a community of bloggers with a passion for space. An innovative initiative that CNES is supporting by hosting a kick-off session on 24 May at the agency’s Launch Vehicles Directorate, focusing on Ariane 6. Europe’s first SpaceUp was attended by 100 people at the Genk cosmodrome in Belgium in September 2012. Credits: Sim Sullen. A SpaceUp is what’s known as an ‘unconference’on the vast theme of space, encompassing both the space industry and space science. Currently all the rage in the United States, this user-generated conference concept was exported to Europe for the first time a few months ago. So how does it work? The aim is to bring together space stakeholders and enthusiasts from very different backgrounds who are free to structure the event on the day in any way that sparks discussion, exchange and original ideas, and where each participant can put forward a topic. 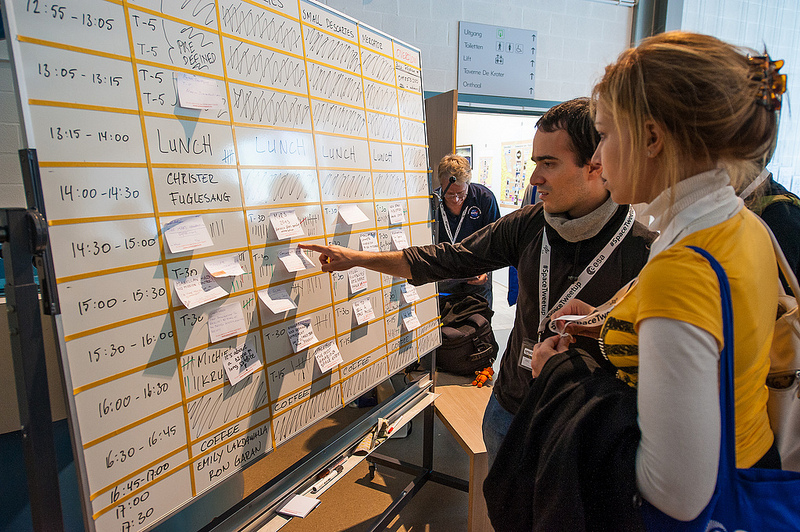 Europe’s first SpaceUp was attended by 100 people at the Genk cosmodrome in Belgium in September 2012. The next one will be taking place in Paris on 25 and 26 May at ESA headquarters. Participants will be coming from France and all over Europe, a gathering of engineers, entrepreneurs and scientists as well as developers, students, graphic designers, journalists and more - all with the same passion and commitment to sharing the excitement of space exploration. In addition to those actually present, thousands of others will be watching the event, notably the very popular T-5 min talks, via a live stream on Internet and webcasts. Hundreds of thousands of spectators have already followed previous SpaceUps on social networks. Come and meet the engineers conceiving the future Ariane 6 launcher at CNES’s Launch Vehicles Directorate in Paris on 24 May at the kick-off event preceding the first SpaceUp Paris. Credits: CNES/ill./David Ducros, 2013. CNES is supporting this innovative initiative and will be hosting a kick-off event where participants can go behind the scenes to learn more about Europe’s future Ariane 6 launcher. 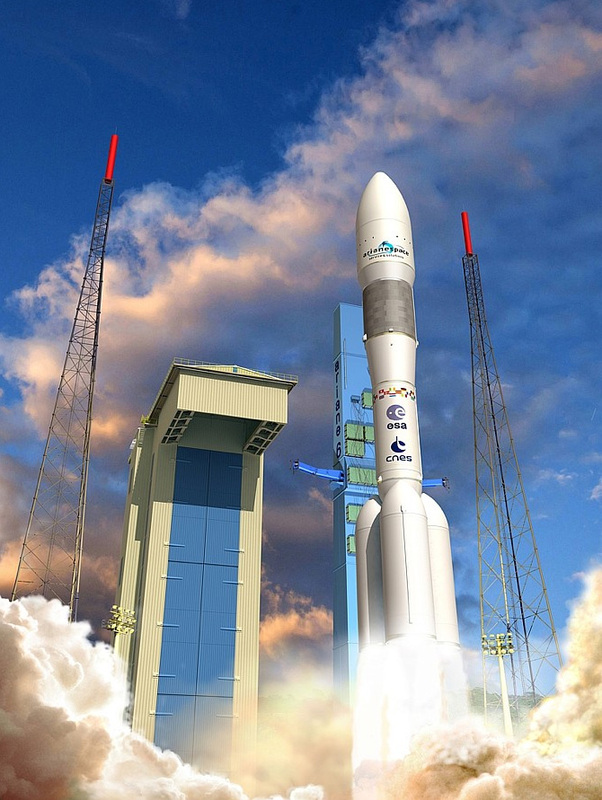 The European Space Agency (ESA), backed by CNES, has conceived this new vehicle to adapt Ariane to the evolving requirements of the satellite launch market and the needs of institutional customers in Europe.What challenges will the future Ariane 6 have to face? What propulsion system will it use? Should it have 2, 3 or 4 boosters? These are just some of the questions under consideration. Since 2009, experts at CNES’s Launch Vehicles Directorate (DLA) have looked at more than 100 concepts, finally selecting one and a baseline architecture that was validated at the ESA ministerial council meeting in Naples late last year. Working at DLA’s new concurrent engineering platform in Paris, technicians and engineers have been crunching numbers for 2 years on some 100 dedicated software applications. CNES has also studied the architecture of the future launch system and the changes that will be required at the Kourou spaceport in French Guiana. At the SpaceUp kick-off event on Friday 24 May, DLA engineers will be taking part in interactive workshops. This will provide a unique opportunity to learn all about the technological trade-offs being considered and synergies with Ariane 5, while also getting to see how the ‘brains’ behind Ariane work. Important note: as SpaceUp Paris will be bringing together participants from all over Europe, discussions will mostly be in English.